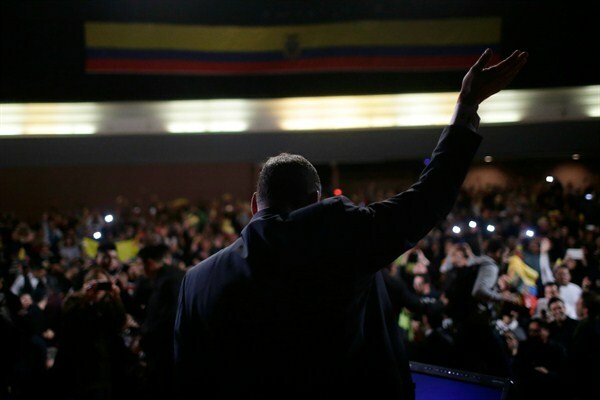 As Ecuador Prepares to Vote, Is Correa’s Populist Legacy at Stake? Ecuador's president, Rafael Correa, during a meeting with the Ecuadorian community in Barcelona, Spain, Jan. 28, 2017 (AP photo by Manu Fernandez). On Feb. 19, Ecuador will hold elections for a new president and members of the 137-seat National Assembly, as well as for the Andean Parliament, the legislative body of the Andean Community customs union made up of Bolivia, Colombia, Ecuador and Peru. Ecuadorians will also vote on a proposal to prohibit public officials from having assets in tax havens.